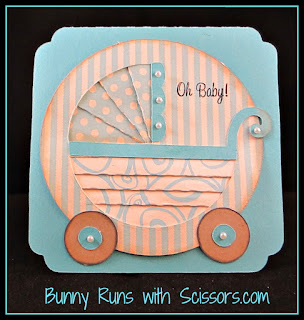 Bunny Runs with Scissors: Oh Baby she's About to Hatch!! Oh Baby she's About to Hatch!! 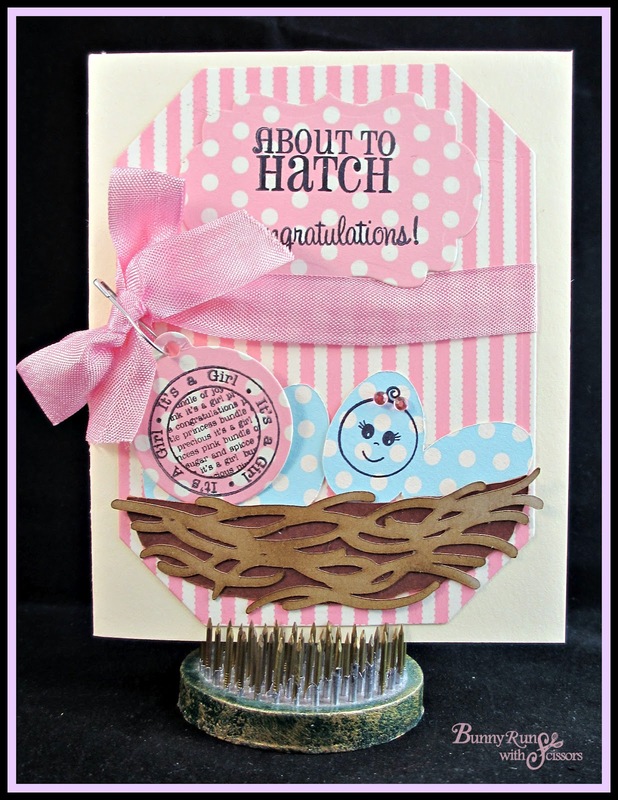 The challenge this week was to create a Baby Boy and Girl card ~ well Jillian may have done "twins" but mine are totally different! and both were fun to make! I also want to say I am so excited for one of our Design Team members who is due April 23rd ~ this is in Nadia's honor!! She is having a girl! Hope you enjoy these cards! oh how cute!!! love them both!